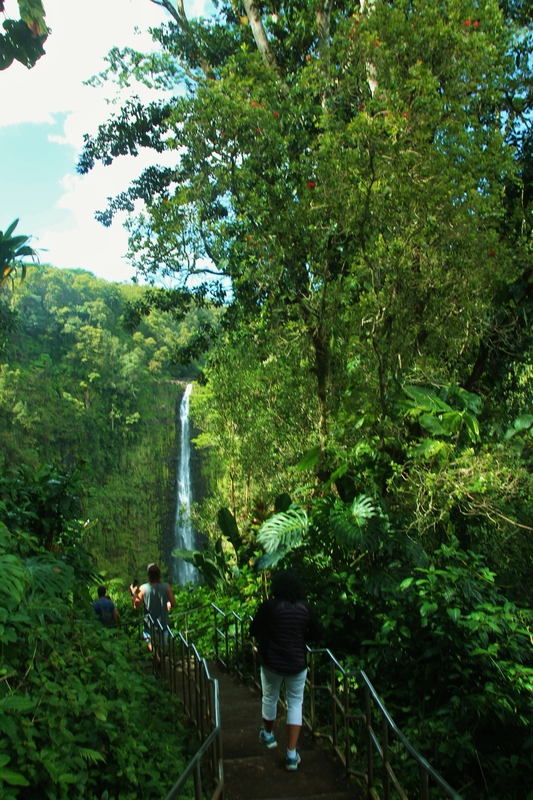 Akaka Falls is one of the most famous waterfalls on the Big Island. The Akaka falls state park is about 11 miles north of Hilo on the end of Highway 220. The Falls is located inside the state Park and is very well maintained and accessible to visitors. There is an admission fee to the park (5$ per car) and there are not much parking lots available inside the park. If you come early, you might be lucky to get a spot inside the park but for the most part people park on the road side. The road side parking tends to be crowded as well, so plan ahead when you visit this park. As you enter the park, there are sounds of the falls and gives you the feeling that you are very close-by to the Falls area. I was wondering that this will be a long hike before my visit to the park. You will be surprised that this is one of the shortest hike that will take you to the ~430 foot Falls viewing area in less than 30 minutes. Overall it is around 0.5 mile hike but the trails are very well maintained and you get the experience of hiking through a thick rain-forest. Throughout your hike, the rain-forest is surrounded by beautiful ferns, flowers and orchids. 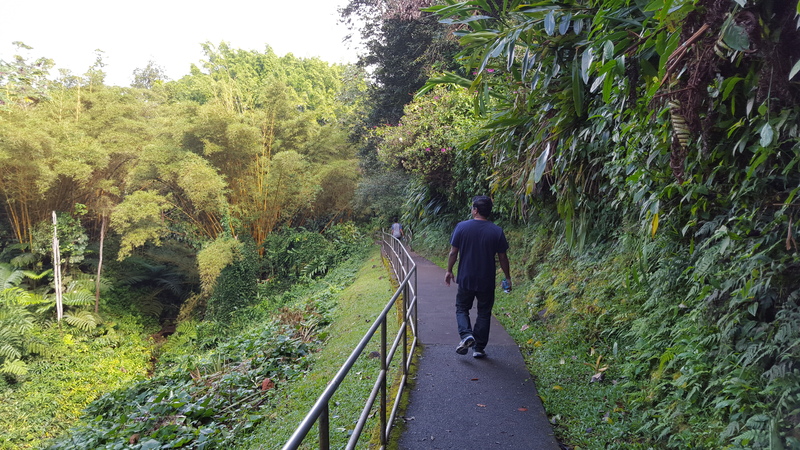 If you are visiting Hilo, don’t forget to spend few hours at this beautiful park before visiting other places in Hilo island. The Rainbow Falls is located at the north-west border of Hilo, which is off Rainbow Drive. 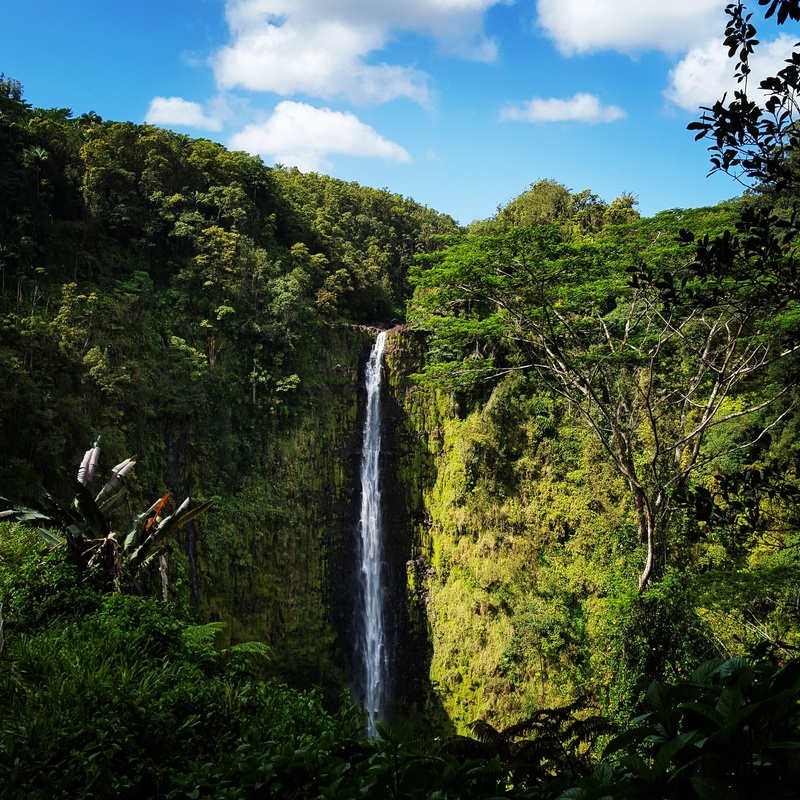 There are limited parking lots available just like Akaka Falls and you will see more visitors to this place due to the popularity of this beautiful sight. 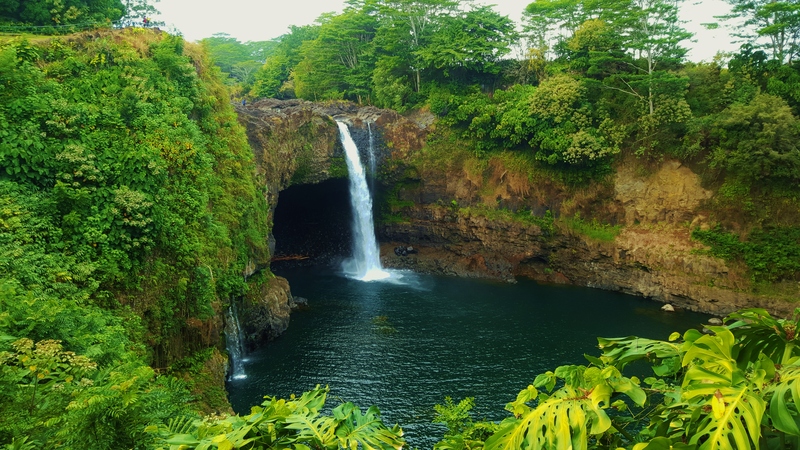 The Rainbow Falls is very close to the Hilo town and would be an excellent spot as part of your visit to Hilo. The falls can be easily viewed just few blocks from parking lot. One of the highlights of this falls is the view of the rainbow and this totally depends on the weather and time of the day. We were unable to see the rainbow during our travel and it is said that the best time to catch a rainbow is early morning. One Response to "Akaka and Rainbow Falls"